Google Chromecast allows people to easily turn their television into a Smart TV, making it capable of streaming videos and other media from services like Netflix. Unfortunately, users will find that their Netflix region is detected automatically and limited to the country they are in, with no option for manual switching. As a result of this, content exclusive to other regions cannot be viewed. However, Smart DNS and Virtual Private Network (VPN) services both offer a way to get around this problem, granting Netflix subscribers the ability to unblock the service and gain access to hundreds of new films, television shows and documentaries. The first method available to Google Chromecast users wishing to unblock Netflix is to make use of a Smart DNS service. Smart DNS works by re-directing parts of a user’s internet connection to a proxy server. As a result, supported services like Netflix will be tricked into believing the user is in the location of that server. So, as an example, if the server is in the US, Netflix will automatically detect a US internet connection and load the US content library. Smart DNS only affects the limited number of supported websites and services and no changes are made to a user’s local IP address, meaning other browsing remains unchanged. Advantages of Smart DNS include its wide range of compatibility and the fact that it does not cause any significant hit to internet speeds, making it an ideal option for streaming media. The main disadvantage is that users with an ISP that implements a DNS hijacking policy will be unable to use the service. Sadly, the Google Chromecast is hard coded with Google’s DNS, making the Smart DNS setup somewhat more complicated than it is on other devices. Essentially, what this means is that the Chromecast will always communicate with Google’s DNS servers, even if a user has setup their router with the DNS settings of their Smart DNS provider. To get around this problem, customers will have to make use of a DD-WRT enabled router, or a router running Tomato firmware. Not all routers have the capacity to operate in this way and flashing a router requires a certain level of technical knowledge. Some Smart DNS service providers, including TorGuard and Invisible Browsing DNS, sell their own pre-configured routers, taking some of the hassle out of the process. Once a router has been purchased or configured, the Smart DNS service must then be setup on it. Individual service providers will offer their own tutorials for doing so. An example, provided by Unblock-Us, can be found here. You can get a bigger comparison of SmartDNS for Chromecast on this Website. Virtual Private Networks operate in a similar way to a Smart DNS service, except for a few key differences. The first difference is that VPNs change a user’s local IP address. This offers better privacy, but a potential downside is that some local websites may stop working, as the user’s entire internet connection is made to appear as if it is coming from elsewhere in the world. Additionally, all internet traffic is encrypted prior to being tunnelled to a server. 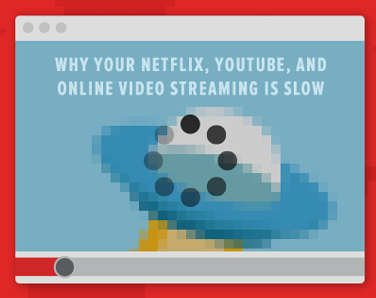 Again, this offers benefits in terms of security, but a disadvantage is that the encryption process causes a customer’s internet connection to slow down slightly, which is not always ideal for streaming video content. With VPN services, the setup process is usually slightly more complicated and may require the installation of specialist client software. However, a major advantage is that VPNs can unblock Netflix for just about any user, including those with ISPs who make use of DNS hijacking techniques. As with Smart DNS, for a VPN to be used with Google Chromecast, users will require a DD-WRT enabled router, or one running the Tomato firmware. VPNs with a good reputation for providing DD-WRT support include ExpressVPN, ibVPN and TorGuard, although many others are available. In terms of setting up a VPN on a router, the process can differ from one service to another. Most will require customers to log into DD-WRT and change the settings manually by going to ‘Services’ -> ‘VPN’. From there, follow the instructions offered by the VPN provider. All of them should have found their answer on this page. If you have further questions, please write it on our Questions & Answers page. How Does Smart DNS Work? How Does Smart DNS Work? HOT TOPIC: Netflix cracks down on many VPN and SmartDNS providers. Share if your provider still works! Do you have problems & questions? If you want to know more about SmartDNS Services, how hey work and what seperates them from VPN Services - check out the site www.smartdnsservice.net. If you need more information about VPN Services, their logging policies, if they allow filesharing / p2p or their connection speed - take a look at www.bestvpnprovider.net. Here are the most common questions about unblocking Netflix which will be answered shortly. How to unblock Netflix and watch region-blocked content! Is it legal to watch Netflix US content in Canada via Blockless or unblock-us? Unblock Netflix and other Geographically restricted content with this Chrome Extension. List of Netflix region exclusives? Question regarding Netflix on a Samsung smart TV in Australia. How does a Canadian go about accessing American Netflix / Hulu / other geo-location specific content? I have a Wii, with a Canadian netflix account. I've read that even with a site like unblock-us.com, I still can't access the US version. Is there a way to fix this? Make money while watching Hulu and the U.S Netflix from outside of the U.S! Is using Unblock-Us to watch American Netflix (from Canada) illegal? Everything on this website is unofficial and might occasionally be wrong. We're doing our best to give you the best information on the internet - but we make mistakes too and things change.